The following information is provided by the Center for REALTOR® Development (CRD), with assistance from Lauren Hampton and the Podfly editorial team, and is a recap of the Center for REALTOR® Development Podcast Episode 22. In Episode 22 of the Center for REALTOR® Development Podcast, host Monica Neubauer’s guest is Jeremias “JMan” Maneiro of Rochester, N.Y. Maneiro is a full-time REALTOR®, speaker, trainer, prolific video creator, founder of the immensely popular Video Bootcamp and an athlete who participated in NBC’s Spartan Ultimate Team Challenge. Maneiro joins Neubauer on the show to discuss the different ways to use video in your business, as well as what equipment to use. All of the different types of videos described below can help you improve and strengthen your connections with your current and future clients, and with your real estate colleagues. You can use video to easily introduce your team to clients and other real estate professionals. One thing Maneiro has is a quick introduction video for his team. He has a small team, but a short introduction video (embedded on email) allows clients or even other agents he may be working with to “put a name with a face” so they can get to know the whole team, rather than just him. They can feel like they are connected with the team at all points in the transaction. Send these videos to agents, clients and every audience you work with. Sometimes you never even meet the other agent face-to-face during the transaction, so this is a great way to develop rapport. If you eventually do meet, you’ll know immediately who everyone is. Alternatively, high-production videos of this type might be good for your website or for more formal and long-term uses. An even easier place to start may be with listing videos. You already have all the content right there in front of you, and it could be a great way to do property marketing. Maneiro does “Coming Soon” videos for upcoming listings where he does a live walk-through of the home and shares it on his Facebppl business page. Everyone has equal access to the video, and the clients can see those who leave comments, which boosts the quality of engagement and feedback about the property. The content is yours, so fold it into your web and social media marketing strategy. If you position it to both buyers and fellow REALTORS®, you can make sure to provide access to everyone fairly. Post or share to your business and personal Facebook pages strategically, keeping in mind their terms of service so as not to break any rules for those sites. Also, watch for owner privacy issues by depersonalizing the property and putting away items the owner may not wish to be on camera. Focus on the differentiating elements of each property, such as the beach view rather than its not-so-standout features. Some of the most popular videos these days are recorded open houses using tools like BeLive.tv. These allow you to take interested buyers or agents on a virtual or remote tour of the house. You could ask viewers of these to provide feedback or questions via some sort of online form, so buyers and real estate colleagues can react to the video they just saw and give you further insight. Another type of “video” that technically isn’t a true video is something you can do through Matterport 3D equipment, which is an enhanced imaging software that yields 360 views like Google Street. The cost for the camera alone is $4,000, so it may be in your best interest to hire someone for this. This camera does a high-res scan of every room in the house and creates a virtual, immersive, 3D experience. 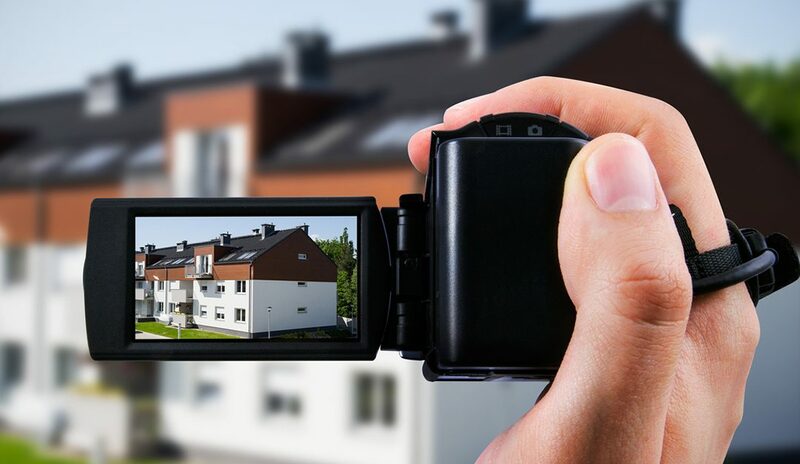 One way or another, using video technology for open houses can help potential buyers maximize their time, especially if they have a lot going on or have conflicting or back-to-back appointments. Just like with open houses, you do have to be careful when you do Facebook Live videos. Be strategic about how you are “conducting business” in this medium, which isn’t editable. You have to respect your clients’ privacy here, as well. It’s the same as when you’re staging for photographs—you want to make sure only things that should be on display are on display in the home. No identifiable photos, medications and valuables should be visible. One key benefit of live-streaming is that it addresses FOMO (“fear of missing out”) to help people feel like they are there with you at any event and not missing out on any fun. You can garner more attention by using the location or hashtag of the event you’re attending, if it’s public. Live-streaming can even help you become a local celebrity or impromptu newscaster by helping you be discovered by local media. Nearly all social media platforms now have the “Story” feature. These are a great way to get started with video, especially if you have a fear of being on camera. These are short clips, and also typically only stick around for 24 hours, so there’s a little bit less pressure. Story videos encourage you to keep your message to-the-point, as well as help you get frequent practice with minimal effort. The best way to get good at video is to keep creating more video content, so these platforms are a great way to hone your skills. Remember, it’s better to have actual “viewers” than a lot of comments and shares— eyeballs are what matter. You can take a look at who’s watching by check the “Insights” feature of each of platform, and create custom audiences with custom content based on who’s watching and how much. These channels are especially good ways to express your unique personality and the fun or personal aspects of your life and business. Community videos are also a great place to start. That’s because as a local expert, your own community is what you’re most familiar with and what you know most about. Who has the best pizza in town? What’s the Chamber of Commerce up to? When and where is the next music fest? What are the things that make people want to live in your market? You won’t have to do a ton of research, and this content is evergreen. This is also another way for people to find you online. They may be looking to learn about your community before moving there, and then they find you and decide to work with you because of your passion, knowledge and online presence. Featuring local business owners is also a smart strategy because you’re breathing life into the local economy, generating long-term referrals and getting out there as the face of real estate in your area. Providing questions ahead-of-time eases the nervousness of your business owner interviewees and ensures an authentic conversation in the video. More recently, drone videos have entered video real estate marketing strategy. Drones have the ability to take videos from the sky and can pan out to create stunning aerial views. There are so many different things and so much more the drone allows you to see, such as acreage, land, multi-structure complexes and geographical topography. Although they can provide some really awesome shots, it may be a tool for which you want to hire a professional, because you don’t want to crash a drone or damage property if you’re not skilled with drones. Good drone equipment is expensive and sophisticated—and operating drones is, in many jurisdictions, governed by technical rules and government regulation—so this is an area where you definitely want to secure the services of a qualified professional. If you’re finding that you have to reexplain the same advice to different clients, one solution might be to create educational videos to teach or instruct in a more efficient and reusable way. These videos could include anything from staging advice to an overview of the different steps and processes your client will experience in a real estate transaction. In this way, you’ll pass on knowledge or instructions ahead of time, and then be able to elaborate or customize the advice in-person for your client’s specific situation. Clients will arrive at a meeting with you with a little more knowledge, or with some of the routine or preliminary tasks already accomplished, making your job easier and the relationship more positive. Today’s consumers—especially younger consumers—find incredible value in “social proof,” which is a fancy way of saying that they are very interested in the recommendations and reviews of others. Just look at websites like Amazon, Yelp, eBay and TripAdvisor to see the large number of reviews there and how these reviews can help drive business. Many people give more weight to business websites that have testimonials from other people who have used the same service, so don’t skimp on the opportunity to showcase your happy clients using video. This accomplishes two things: it attracts new clients; and builds loyalty with existing clients who are thrilled that you’re interested in their opinions and in sharing them. They’re more likely to come back or offer referrals because you have proven that you take good service seriously. One last way to use video in your business is to offer local and national market updates. On the one hand, you can use research and statistics from the National Association of REALTORS® (NAR) to create engaging videos that explain to your colleagues and clients what’s going on in the real estate and mortgage industries at the national level. Then, as a local expert, you can create great videos explaining what you see happening in your local market. Are there subdivisions that are “hot” right now or where values are increasing? Are there new subdivisions or new construction on the horizon that your market should know about and through which you can plant seeds for future business? Are you seeing trends or patterns in how long properties are on the market and why, or new lending options that were not available before? Why not share your knowledge in a video and use this content marketing to further position yourself as a local real estate leader and influencer? Now that you know some benefits and different avenues for video, how can you incorporate it into your business? One thing to expect is that you won’t be happy with every (or maybe any!) of the videos you record. It takes time to get used to how you look and sound on video. One thing Neubauer recommends is to give herself one take and go with it, even when it’s not live. Maneiro encourages us all to “get over ourselves” and just do it, and that even he is still a little nervous to this day. Like any other skill, video is a work in progress. The goal is improvement, not perfection. Each video is a learning opportunity, so as you get started, you can learn as you keep producing more videos. One of the beauties of video in our culture is that it does allow for you to be authentic and gives room for your human mistakes. The episode goes into much more detail about specific equipment recommendations and the detailed how-tos of making videos, so definitely give it a listen. If you’re ready to get started on video, just remember to be you, be authentic, and focus on building relationships. The Center for REALTOR® Development’s monthly podcast focuses on education in the real estate industry. It addresses formal education programs (such as those from NAR) and informal sources of industry knowledge (such as peers and mentors). Its intended audiences include REALTORS®, real estate professionals, allied professions, educators, education providers, and consumers. To listen or subscribe, visit www.crdpodcast.com. For more information, please visit RISMedia’s online learning portal from NAR’s Center for REALTOR® Development and the Learning Library. Here, real estate professionals can sign up for online professional development courses, industry designations, certifications, CE credits, Code of Ethics programs and more. NAR’s CRD also offers monthly specials and important education updates. New users will need to register for an account.